An algorithm that predicts what your chances are on being invited to a job interview, how beneficial! Suggests NRC Handelsblad in this article of July 2017. Youngcapital, a Dutch recruitment agency, will probably use this technique in 2018 developed in cooperation with Marcia Goddard. 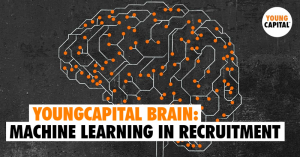 With machine learning, as it is called, a system will determine for YoungCapital which candidates are suitable for the job and which not. But an algorithm that decides such an important decision is very influential and powerful. As Frank van Luijk argues in NRC Handelsblad in August 2017: these kinds of systems leads to the ‘cloning’ of existing employees. Caplan and Boyd (2016: 13) argue that computers have greater influence in our lives, for instance in the types of jobs that are available. Later they state: “(…) dominant modes of communication, including code, can leave many individuals feeling silent and thus create or perpetuate inequalities” (Ibid: 14). Although their plea focuses on algorithmic manipulation of news and information, this argument is especially applicable on this new job-recruitment system. One would think organisations need new, innovative, creative and diverse employees, is that achievable using an algorithm that chooses profiles based on big data of the company’s existing patterns?